‘Baroque electrifies’ is a new themed walk, which takes a closer look at Antwerp Baroque art and the rather distinctive “baroque” lifestyle. Antwerp styles itself as the “Baroque city of the Low Countries” and it is easy to see why this title is justified. Baroque pops up everywhere on the streets of Antwerp and in its lavish interiors. Majestic, surprising, at times very sensuous and even a little dramatic. In this city baroque is not just an art, it is an art of living, a lifestyle. Like the Baroque, real Antwerpers are dynamic, generous, exuberant and anything but modest. Discover the many historic witnesses of the Baroque as you walk through the city. The imposing façades, stunning gates and lavishly decorated statues are a joy to behold but are also part of an extremely fascinating history with plenty of fun anecdotes. 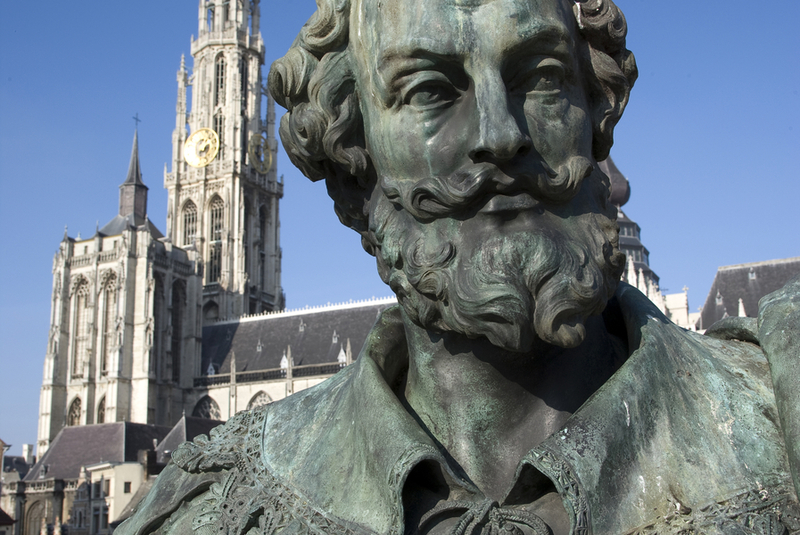 Discover how Rubens, the godfather of Antwerp Baroque art, continues to inspire contemporary artists even today. The walk also includes a visit to several new gigantic and colourful murals, in which the old Baroque and hip graffiti strike up a dialogue. There can be no doubt that Baroque lives on, inspiring creativity in Antwerp. “Baroque electrifies” is more than a unique introduction to a vibrant art movement; it also gives you an interesting and multifaceted perspective, that will prepare you for even more baroque Antwerp experiences… Highly recommended!